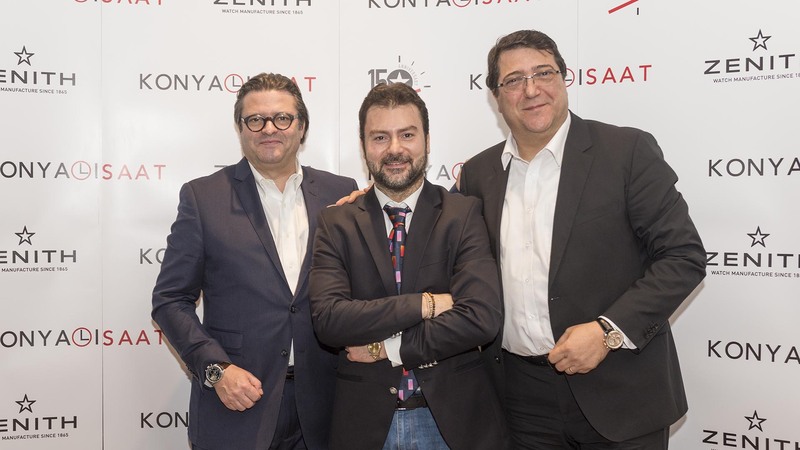 We had a very pleasant chat with the famous Swiss Luxury Watch Manufacturer Zenith's CEO and president Mr.Aldo MAGADA during his attendance to the event of Zenith's 150th Anniversary event hosted by Konyalı Saat. BB: Welcome to Turkey Mr.Magada.. 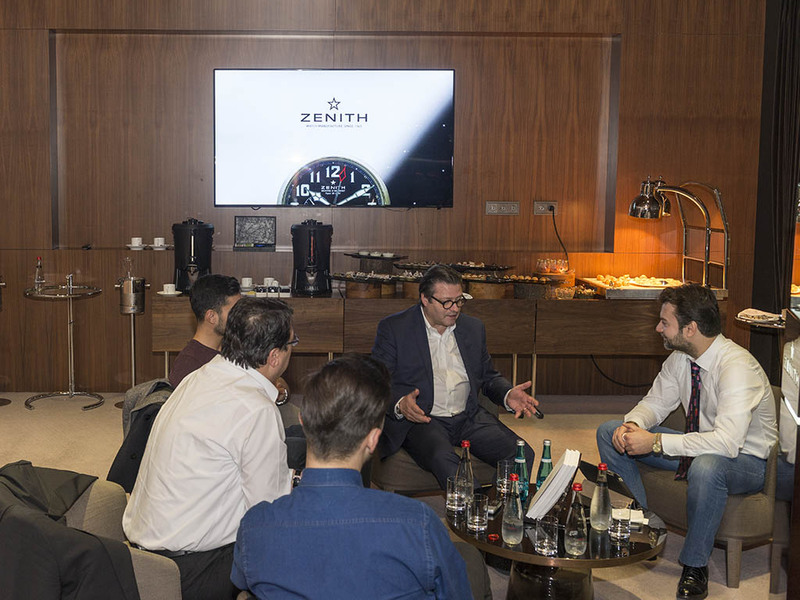 I hope you enjoyed your visit so far..
AM: Thank you.. and definitely yes..
BB: Mr.Magada, you have been the CEO of the luxury watch brand Zenith for more than a year now. 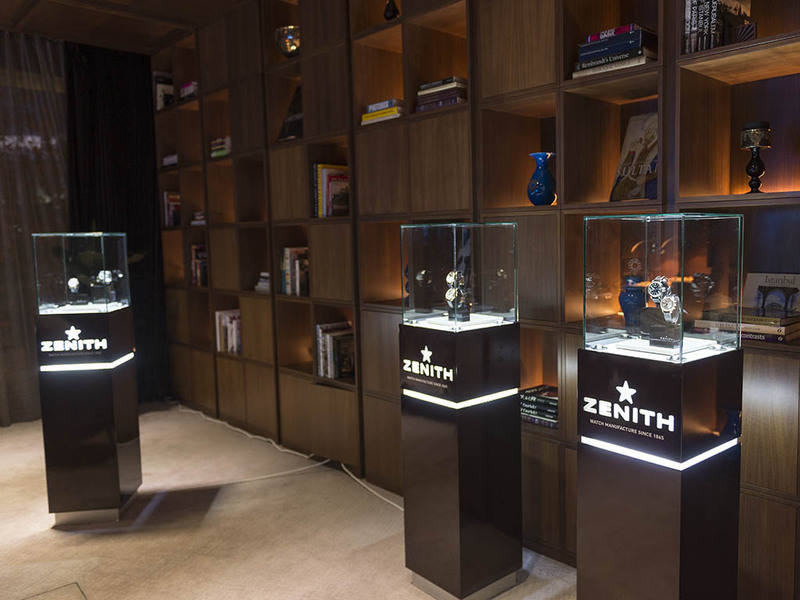 What differences can you mention when you compare Zenith to your previous experiences with other brands..? AM: First, I would like to say every brand is different but, I found something very interesting and surprising at Zenith. You know I am in this industry for over 30 years and I worked for different brands with different positioning. Zenith was already a big name for me for it's movements before joining the brand but I was very impressed with the potential of the brand. I think we are just at the beginning of what Zenith can achieve. Why I tell you that..? For two main reasons..
1) Of course the competency we have for movements and what we can do which is exclusive. People do not want mainstream products but go after more personalized products. 2) The value of Zenith. 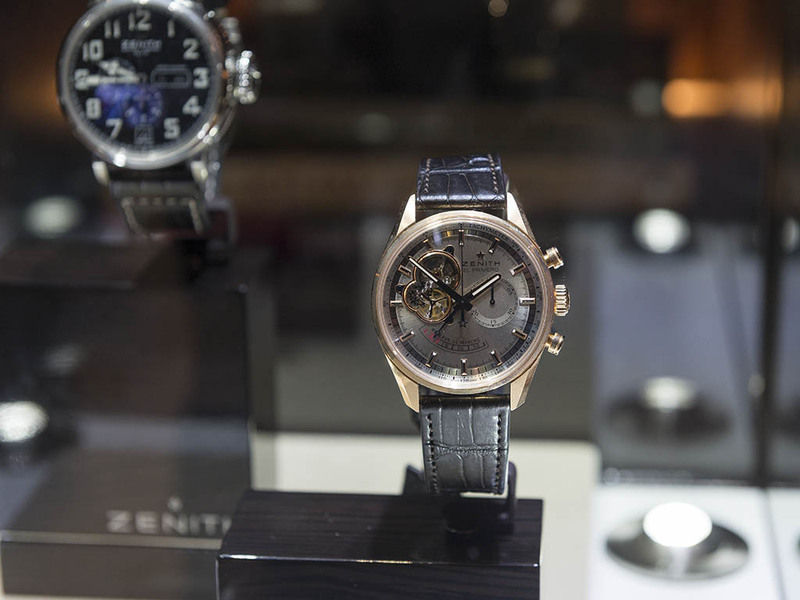 Zenith is a classic watch. You can leave a Zenith at your drawer and take it out two years later, it's still a valuable and wearable watch. A classic watch can look good without being brand new or fashionable. BB: Zenith seems to be adapting to the growing trend for limited edition models with iconic figures like Rolling Stones. Are we going to see more limited edition models in the future..? AM: Why we produce special or limited editions..? For several reasons.. Sometimes we use it to communicate about an event.. Sometimes we use it to communicate about the universe we live in.. Tour Auto for instance.. We produced Tour Auto to celebrate our partnership and to attract people who are interested about those kind of events. Celebration of events which help us to stay in touch. Special or limited editions gets the attention to a product line in a very different way. It gives you a unique opportunity to speak about the product line. However, we have to be very careful at what we are doing. I know brands who are incredibly strong for making a vast variety of special and limited editions but this is not our job. Simply answering your question; Yes, we will keep producing special and/or limited editions for the reasons I mentioned at the beginning and No, it is not a business model for us. BB: What do you think about the smart / connected watch concept..? AM: I have a simple answer to the question; We are producing smart watches for 150 years. This is ( pointing the Zenith he is wearing ) smart. The connected watch concept is of course a segment and it exists for 4 or 5 years. However, the big issue is Apple coming to the market. Apple is considered to be a more luxurious brand compared to Samsung and Motorola. In this regard, I believe it's more like a marketing issue rather than a technical issue. People are talking about the connected watches killing the market for traditional watches etc. Take another Apple product, iPad Pro for instance. iPad Pro is coming with a pen.. You see that we are coming back writing on the paper. No matter how many apps you have in your iPad you can not be as precise as hand writing. From my point of view, I have to say that, despite the fact that they are capable of doing things in many different ways, I am not really satisfied with the current products. I agree about the creation of a new segment however, I do not think that this new segment will effect us. It will effect Suunto, Casio, Tissot ( T-Touch ). 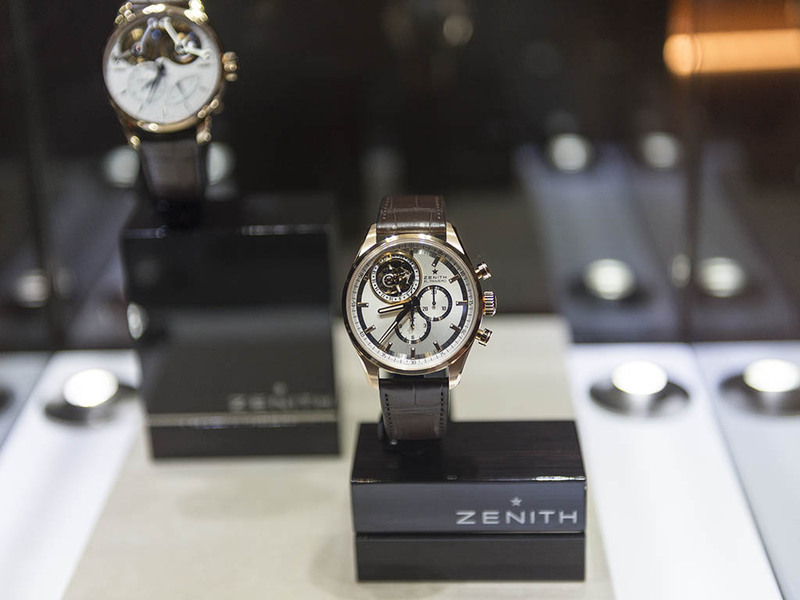 A watch enthusiasts who likes a Zenith will look for mechanical set ups. It's like classic cars. I have friends who own classic cars. Some of them drive their classic cars on a daily routine and some of them drive on special occasions only and drive their other cars which are modern and more user friendly. You can have a traditional and a connected watch at the same time and enjoy both. BB: Do you think that smart / connected watches can be problem for Swiss Watch Industry like the quartz watches back in the 80s..? AM: I would not call it a problem. I would say the existence of the smart / connected watches will create a challenging environment for us. 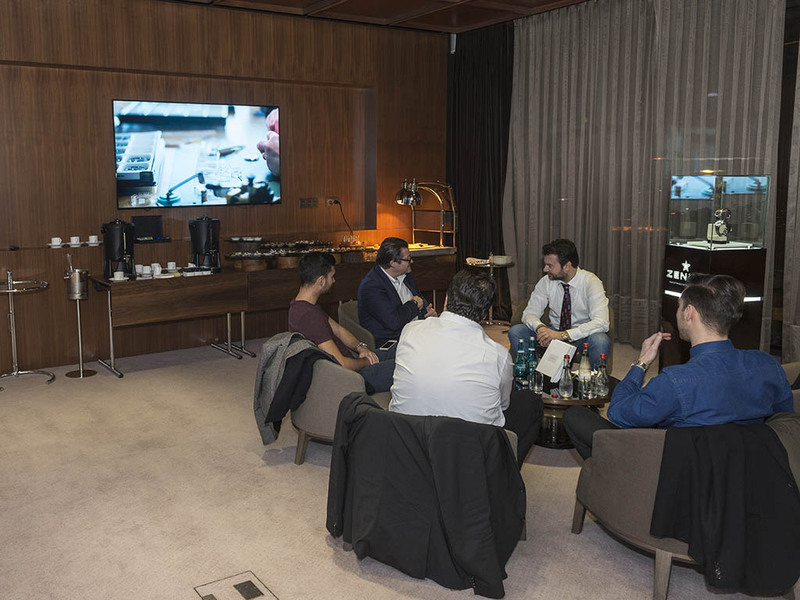 But at the same time it may be a very good opportunity for us as the young generation looks quite interested about the smart / connected watches. BB: Will there be any major innovations in the near future for Zenith..
AM: It is a continuously evolving process. The El Primero movement for instance.. It's been almost 50 years from it's first production but it is still being upgraded. We are also working on personalization of our products. BB: What is your favorite Zenith within the present collection..? AM: I'll answer that in a stupid CEO style; Next one I will do.. ( laughs ) One of my favorites is Zenith 1969 Chronomaster Open Heart. I like the 42mm size and the open heart design. I like the dial lay out which resembles with the original version. I also like the watch's versatile character as it's sporty and elegant. I wear it when I am swimming too..
BB: Well Mr.Magada, Thank you very much for your time and granting us the privilege to have this pleasant chat with you through this beautiful occasion for Zenith's 159th year.